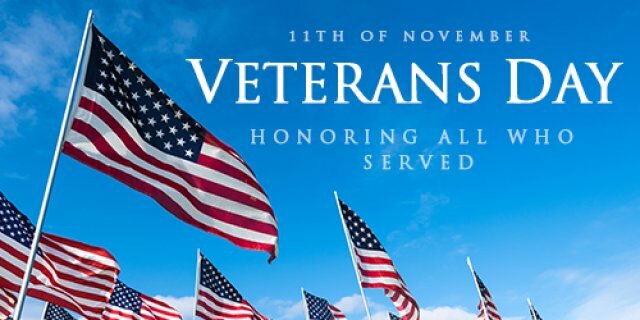 Veterans Day fell on Sunday this year meaning that the holiday covered two days. That was a good thing. While it is unfortunate that the children in most Maryland schools have to attend classes on Veterans Day, because of that I attended one of the most touching and memorable Veterans Day celebrations I can remember. The event was held yesterday at Waugh Chapel Elementary School in Odenton. I was invited is because my grandson Jackson is in the fifth grade there. Even better, he had a speaking part in the Veterans Day assembly. I was honored to attend, but I have to admit I was not entirely sure what I was going to find once the assembly began. The school body assembled in the gym for the Veterans Day celebration. There were readings and poems, and songs along with a keynote address from a Coast Guard Chief Warrant Officer. But, there was also unbridled patriotism and, I believe, a genuine effort to honor the veterans, the moms, dads, and grandparents who were in attendance. The assembly began by reciting the Pledge of Allegiance and then singing the Star Spangled Banner. The readings were short, as they should be to maintain the attention of the school children. Jackson did a spectacular job reading his poem and I was able to capture it on video. I was genuinely touched as the entire student body sang God Bless the USA. They sang with enthusiasm and I felt proud to be there in attendance to see and hear them. I admit, I enjoyed listening to them sing so much that I did not record the moment. It is, however, etched in my memory--the Waugh Chapel Elementary student body singing in unison and the growing enthusiasm as the song continued. 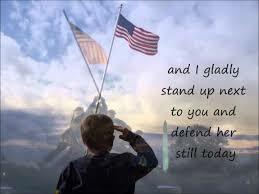 It was a most special Veterans Day and it made me proud to stand up as an American and as an American veteran!